Today I finally had time to tackle the jacket fronts. I'm making this jacket out of a raw silk patchwork fabric. As much as I like the look of it, it's proving to be a challenge to work with. 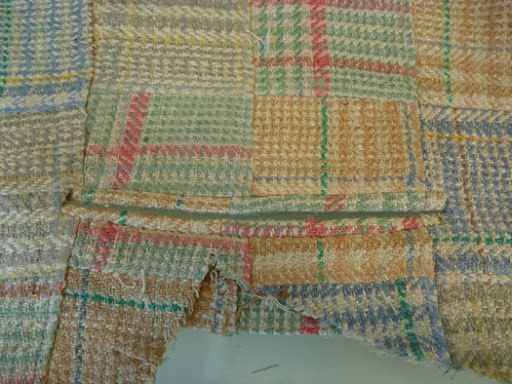 It's very loosely woven with flaws and slubs everywhere. Not to mention that it frays and falls apart almost by looking at it. To say the least, I'm treating it with kid gloves. Because there are seams about every 3 inches, I spent the better part of a day just cutting out the various parts, one piece at a time. I tried my best to match in places, but the primitive quality of the material made it difficult. 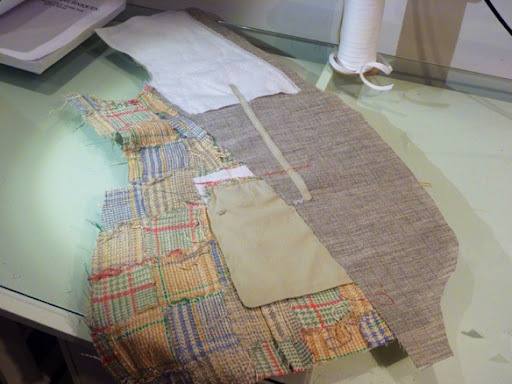 I also tried to avoid having seams of the fabric fall on the seams of the jacket, or along hemlines. 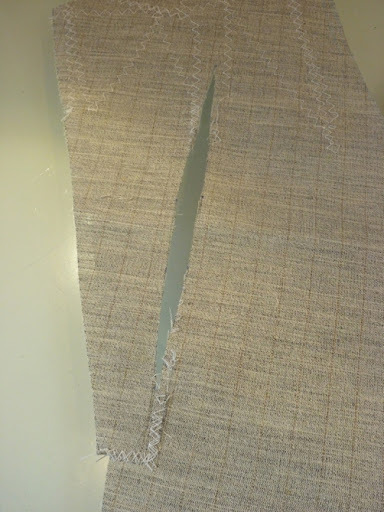 There are definitely some potential "bulk" issues when working with this type of fabric. I as cut each piece I immediately took it to the sewing machine to staystitch any curves as well as the front opening. My inspiration jacket has patch pockets, but where I'm already working with a patchwork fabric, I felt that it might be too "hobo halloween costume". 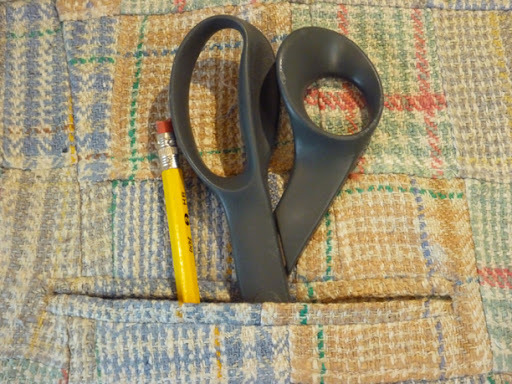 I've decided to use what Roberto Cabrera calls double piping pockets. I think it will be a cleaner look. I always like to make a practice pocket before I launch into the real thing, so here goes. I stabilized the reverse area of the pocket with a scrap of fusible interfacing. 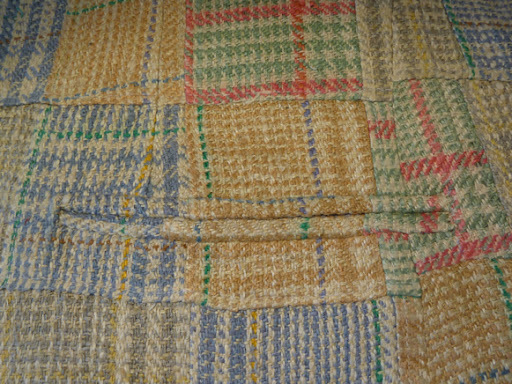 This is Pro Woven Light Crisp from www.fashionsewingsupply.com. As someone who's avoided fusibles like the plague, I can't suggest their products highly enough. Do yourself a favor and skip the stuff at JoAnn's. I follow the directions from Roberto Cabrera's book on menswear tailoring, and here's the result. Not completely horrible, but when the lower welt was pulled through and pressed into position it revealed a flaw in the fabric. Ooops! A broken thread in a highly visible area. This is why I like to make a trial pocket. It really helps expose the potential pitfalls. When working on the actual jacket fronts I'll fold the welting strips at the 1/2" mark just to make sure there are no flaws. 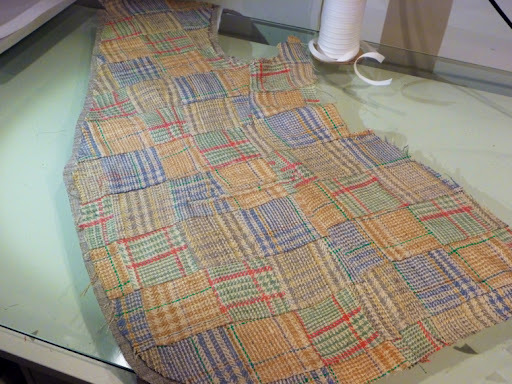 This photo also shows just how loosely woven this fabric is. I'm determined, however, to make it work, so it's on to the real thing. I'm not intending this to be a pocket tutorial, just an overview of the process for those of you interested in tailoring. Here's the pocket after the welt sections have been stitched into place (they're on the front side) and the dreaded slash has been made. I hope you can see that the placement line is actually slightly curved which, according to Cabrera, will help keep the pocket from falling open. 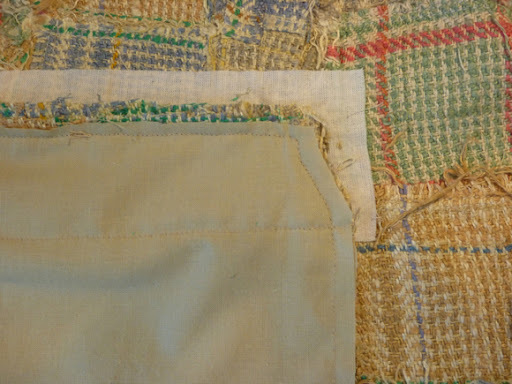 The pocket from the right side after the welt strips have been pulled through and pressed into place. Pocket on the reverse with the pocket bag attached. This is all much easier to do than one might expect. The Cabrera book presents each step with an illustration, so it's simply a process of just following along. 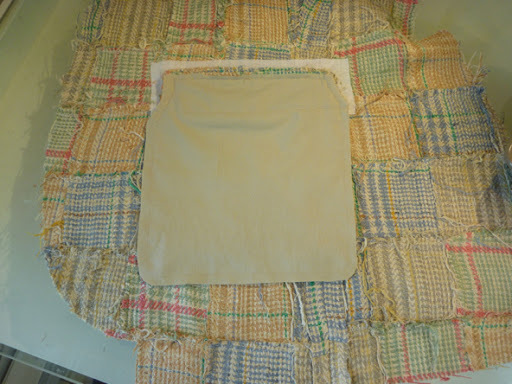 The finished pocket. Yay! It works! This completes what will probably be the most difficult part of this project. It's on to the canvas. I'm using the pre-made heavy weight canvas jacket front from B. Black and Sons. 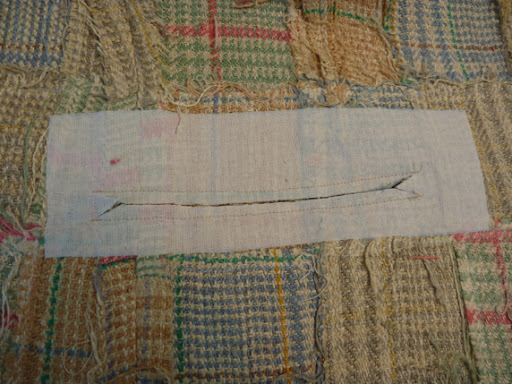 The pattern is placed over the canvas and the dart is transferred. The top and bottom of the dart is extended 1", and then the dart is cut out. 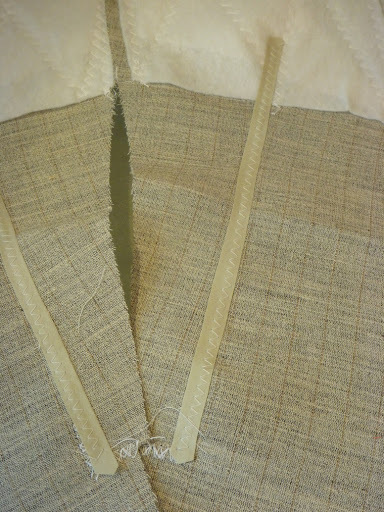 The dart opening is then closed by butting the edges together and zigzagging a bias strip of pocketing over the seam to hold everything together. With the darts aligned, the jacket front is sytematically smoothed and basted to the canvas. The Cabrera book walks one through step by step. The result is that the two layers become one. 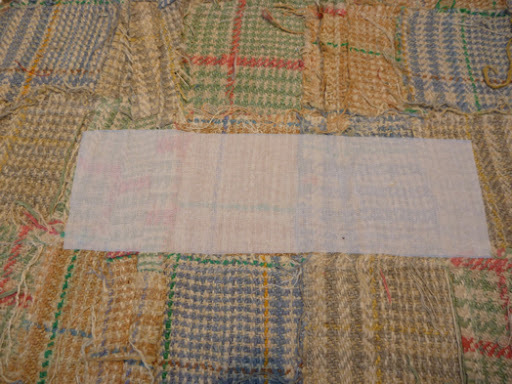 Here the top seam allowance of the pocket is cross stitched to the canvas. One side of the pocket bag is also stitched to the canvas, but I forgot to take a picture of it! The inside view of the basted front. The outside view. 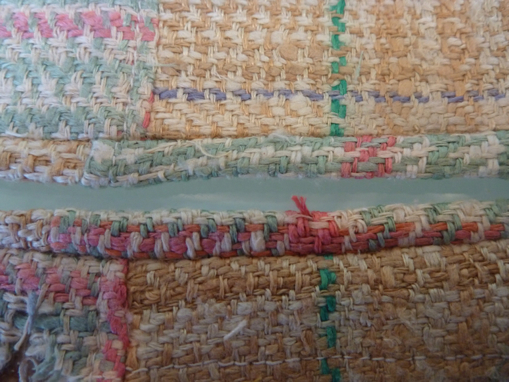 The next step will be to trim the canvas and apply twill tape to the edges. I hope this has been informative for my readers interested in tailoring. Cheeers, and happy sewing. The welt pocket looks great! 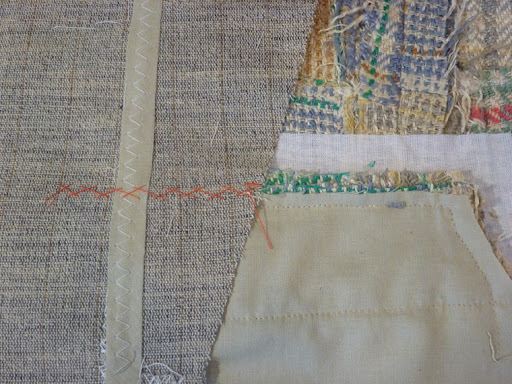 The fabric is beautiful too -- can't wait to see this finished. This looks like a real challenge, but WOW, it will be a showstopper jacket. I'm very impressed how you worked to match the welt pieces to the jacket front. I am having interfacing envy. I may have to get some of these too! Looking fantastic and those pockets are realyl beautiful. Is it just that we are sewists, the things like that can be so emotionally moving, like a perfect sunset is to other people? this is great looking! share as much tailoring geekery as you heart desires! i for one will eat it up. can't wait to see the finished product. I guarantee much more tailoring geekery! I totally love the whole process. Right now the pockets are whipstitched shut. Guess we'll have to wait until the end to see if the curve really works. It was certainly easy to do. I purchased the fabric from Denver Fabrics when they were having a silk sale. I think it was $9 / yard. Can't wait to see it finished. It's going to be beautiful!